The Woodbridge Horse Show would like to introduce our President for 2018 – Mrs Caroline Aitchison. “The Aitchison family have only been involved with horses for ten years. Francesca, my youngest daughter’s love of all things equestrian, prompted a move to Suffolk and our involvement has snowballed from then. 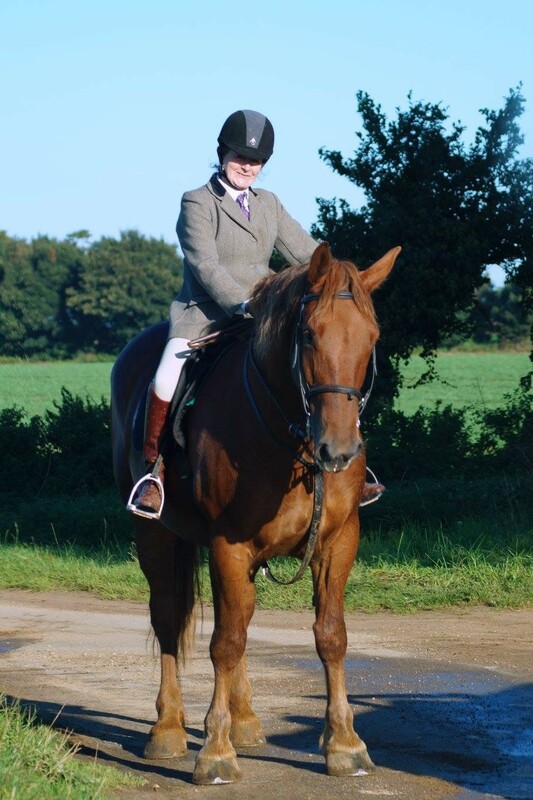 My daughters Francesca and Harriet are keen members of the Pony Club, Riding Club, British Dressage and local hunt. They have been involved in showing, showjumping, dressage and eventing with some success over the years. My husband decided to join our obsessive band by acquiring a Suffolk Punch, “Trinity Arabella”! With no prior knowledge of anything horsey he announced that we were going to hunt her! (read ME for WE) and so began my quest to train, school and promote the Suffolk Punch as an ‘all-round’ riding horse. Bella takes everything in her stride. 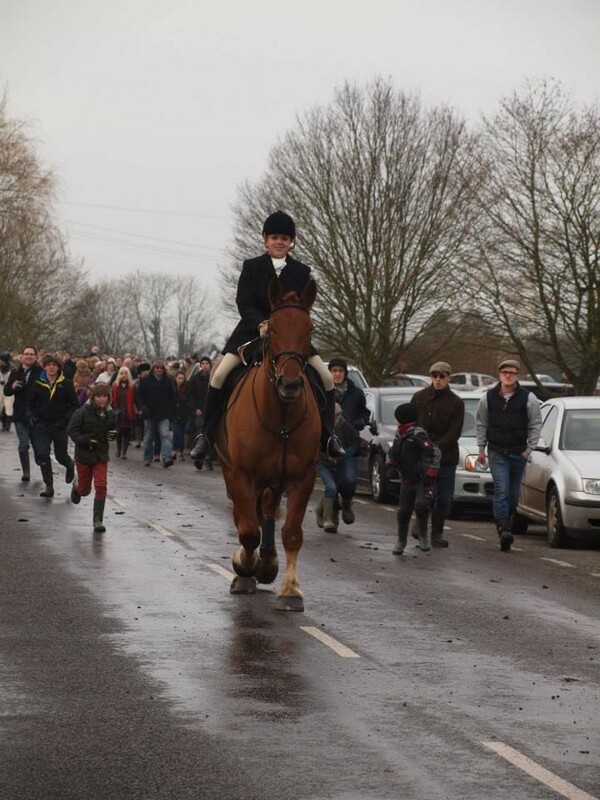 Since acquiring her, as an unbroken 3 year old, she has hunted with the Easton Harriers, been part of the British Dressage Suffolk team, and even showjumped for Finn Valley Riding Club. 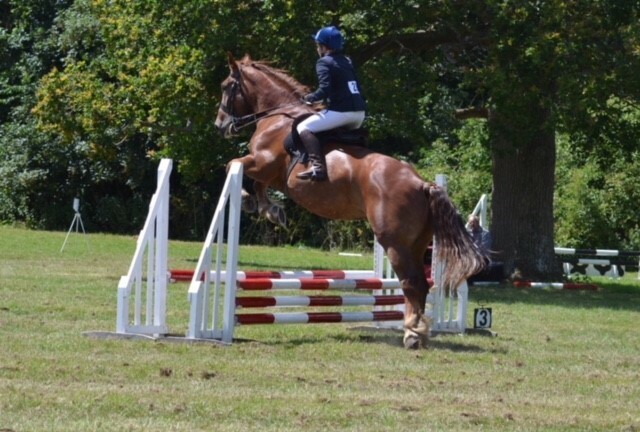 Last year she was placed third in the unaffiliated showjumping at the Woodbridge Show. Our aim this year is to get her around her first Cross Country course and into foal!